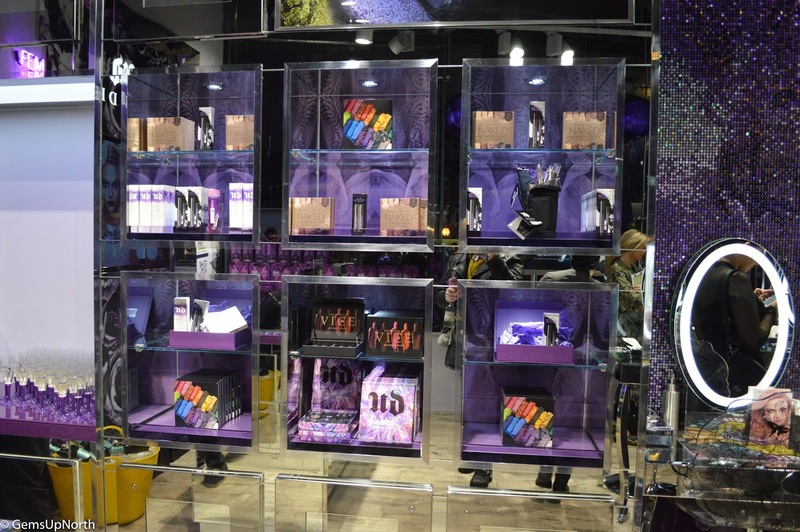 Stepping inside the store you will see stands filled with exclusive makeup, purple neon lights, beauty stations, lots of colour and futuristic decor, it really is a UD wonderland. If you read my blog regularly you will know that I went down to London to see the UD Carnaby Street store in October and this Liverpool store has impressed me more, although there are many similarities like the selfie station, real time interactive wall and UD decor. Liverpool has a very open feel to it with the high ceiling filled with futuristic fixtures and the fact that everything is on one floor. The beauty stations fill up the middle of the store but leave room for shopping around them. 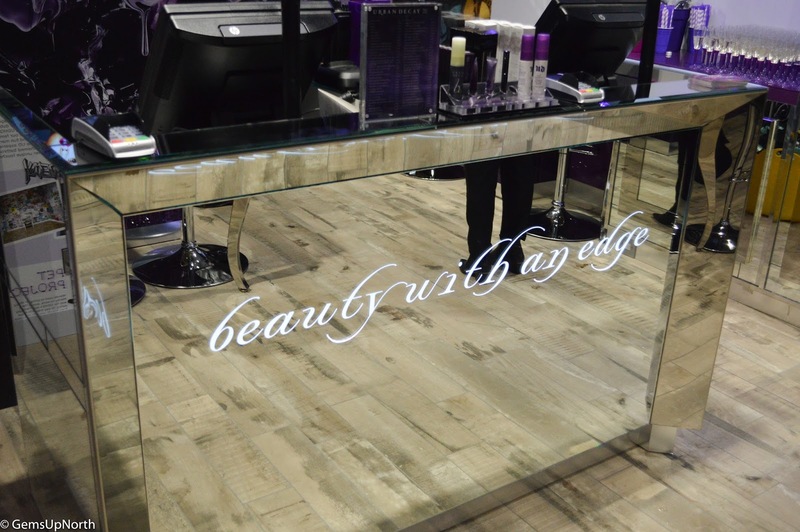 Each part of the store has a makeup feature wall; with a Vice lipstick stand, UD Pro Brushes wall, Palette wall and gift set section; there's so much to see and shop! The interactive wall where your selfie station photos appear is situated behind the tills, which means as your paying you can check out your selfie amongst everyone else's too. Make sure to hashtag your pics with #UDLiverpool. The evening was quite exciting with some soap star VIP guests including Jennifer Metcalfe (Mercedes McQueen - Hollyoaks), Anna Passey (Sienna Blake - Hollyoaks) and Tina O'Brien (Sarah Platt - Coronation Street) in attendance. It was nice to see the guests chatting about Urban Decay, having an interest in the makeup and enjoying the evening just like everybody else. I had one of the stores MUA's apply some lipstick for me as I wanted to try out a few shades from the Vintage Lipstick collection which is available to purchase in the Liverpool store. 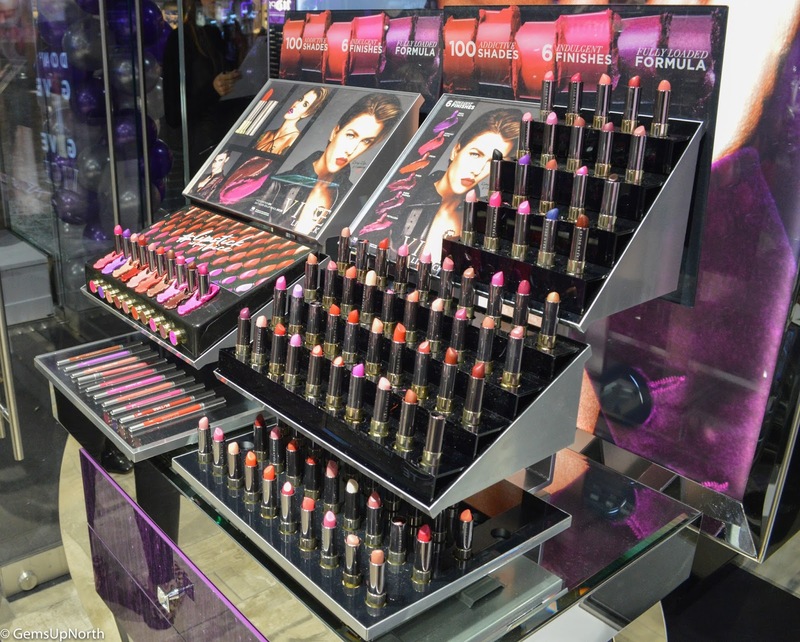 It's great that you can try on any of UD's makeup in the store, this gives you a chance to see if certain shades are right for you before buying plus it's a nice experience to have a bit of makeup applied by a professional. To give you more of a look around the new store I used my camera to film a few shots on the evening and have put together a short video for you to watch... this is the first time I have filmed at an event and want to make this a regular thing as I really enjoyed putting the video together. I've uploaded this youtube and you can watch it here. 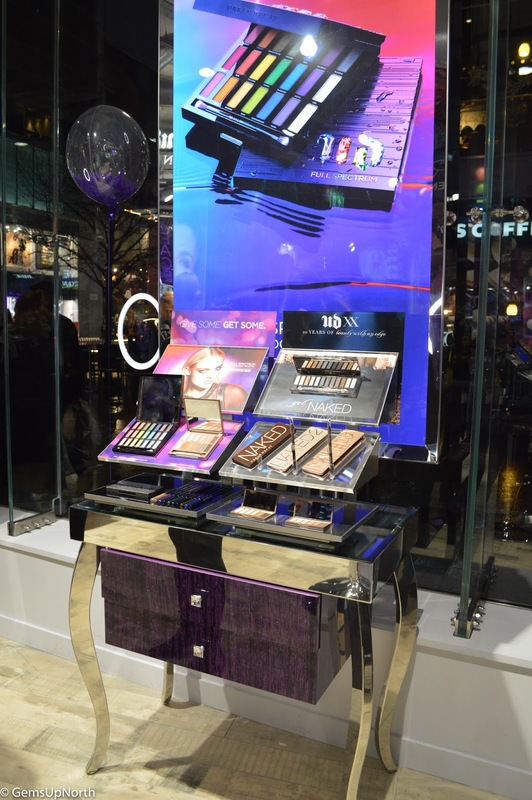 I spent the whole event looking around the store, trying on makeup and chatting to guests and the UD team, I had a fabulous evening and shall be back to shop Urban Decay exclusives and boutique style items soon. 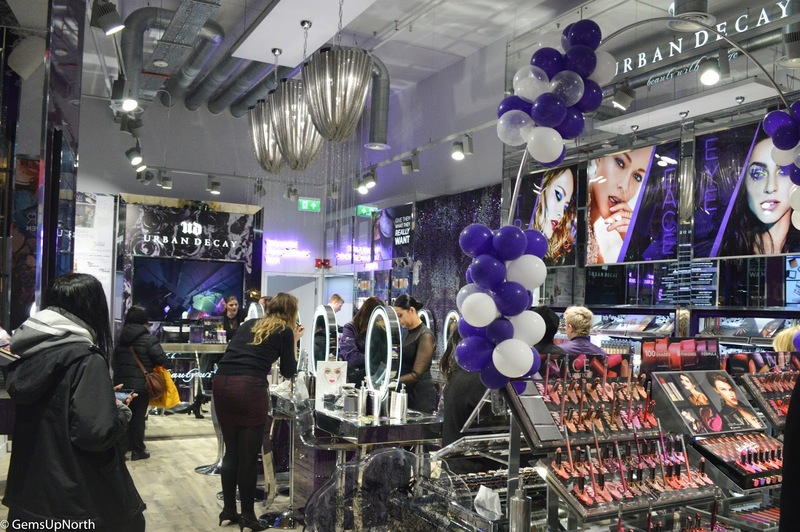 Thank you again to Urban Decay for inviting me down, I'm very pleased we have a northern store!